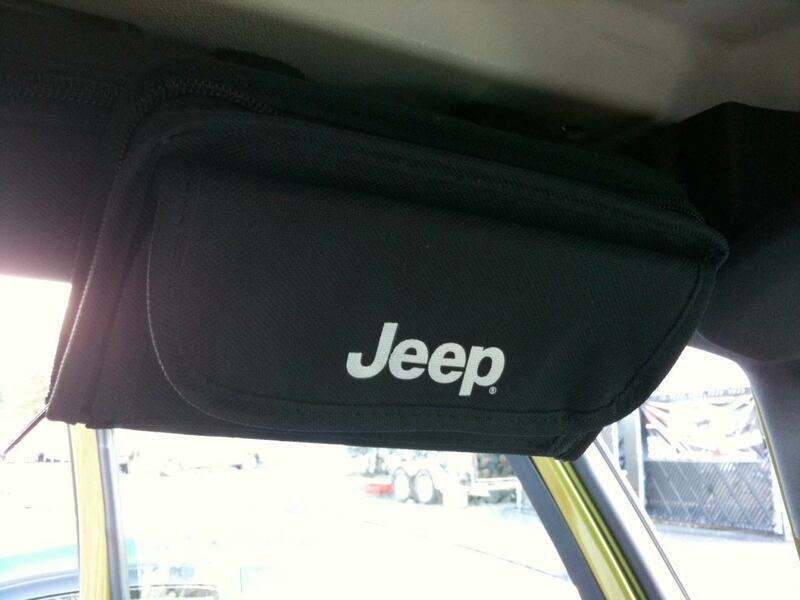 Whether you're stashing your shades or you need to secure loose valuables when you're on the go, this Mopar Jeep sunglass holder is the way to go. It straps right on to the Wrangler roll bar or glove box handle for later model Wranglers made after 2017, making it convenient and easy to access when you need it. 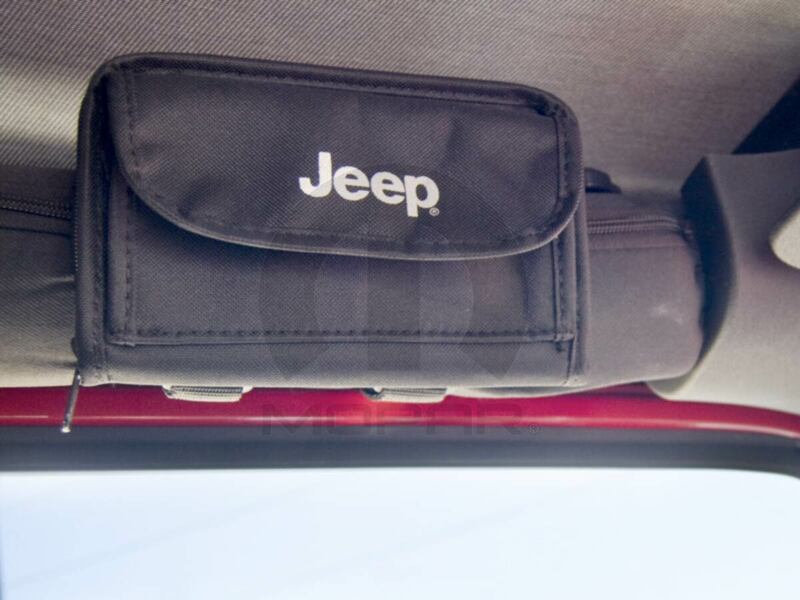 This roomy Jeep sunglasses holder can be used for several purposes, but its mission is clear: to keep your things contained, even when you're driving off camber or things don't go quite as you'd planned. Installs with no tools on the roll bar above the driver or passenger side front seat or to the glove box handle. This is a great product and well-made/constructed. It would be perfect for sunglasses or other essentials right on your visor; however, if you choose to strap it onto your visor, your vanity mirror is not usable. If you do not have a vanity mirror or are choosing not to utilize it, this is a great product. I improvised and put the velcro on the smallest setting and then slipped it over the emergency brake. I still have room for my sunglasses and a few essentials, just not up on the visor as I had anticipated. Nice bag, sunglasses fit perfectly. Only complaint is that it will not fit around any bars of my jeep. I had to put it on the grab handle by the glove box. ConsOnly complaint is that it will not fit around any bars of my jeep. I had to put it on the grab handle by the glove box. Looks cool and is useful! I love the bag but it didn't fit around my 2016 Freedom Edition visor at all. Straps too small. It would have been nice to have extension straps to it so it can fit any type of jeep visor. Consstraps too small, did not fit around my visor. if it had extension straps, that would have worked but it does not.